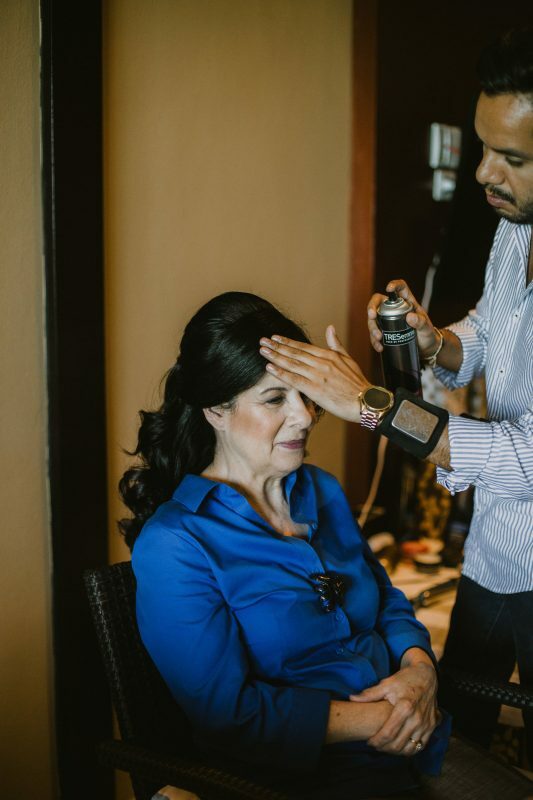 In April, I had the pleasure of working with Styling Trio for hair and makeup services at a wedding at the beautiful Generations Riviera Maya Resort and Spa. As most women will agree, the day of the wedding is filled with emotion, and is usually a bit stressful just from the excitement and fast paced schedule. 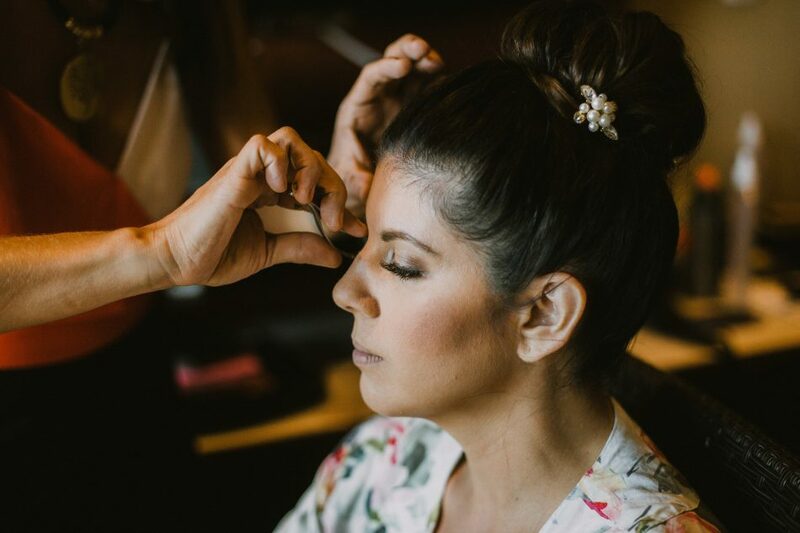 Hair and makeup are generally one of a bride’s biggest stressors with all of the thoughts of- How will I look? Will my hair stay in place? What if my stylist doesn’t understand my vision? Will my makeup melt in the heat? And the list of questions and concerns goes on and on. 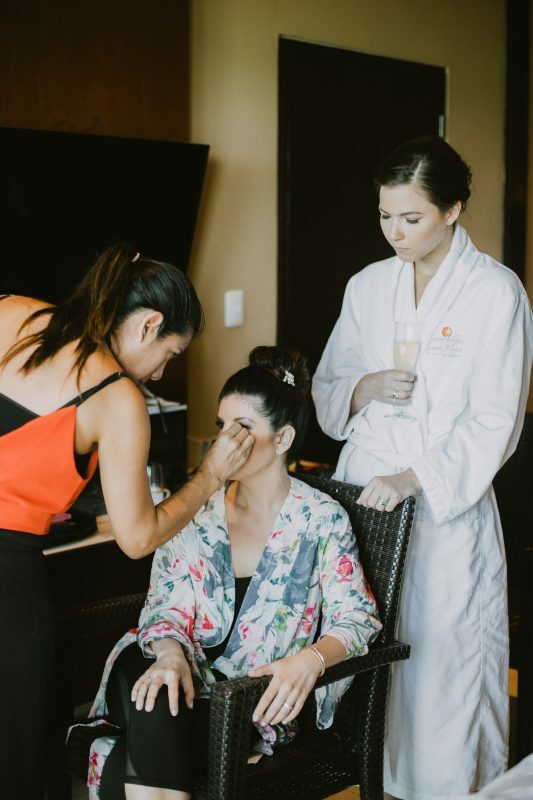 Luckily, our bride, Erin was interested in having only the very best and unique of experiences for hair and makeup, so we brought on the Styling Trio team for her wedding day. As a wedding planner, my experience with Styling Trio was amazing, and I know that the Erin felt the same way. 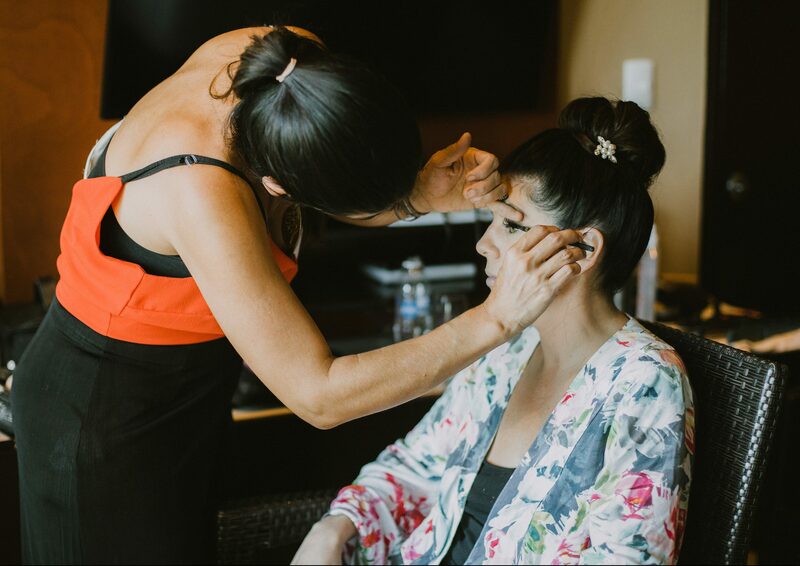 Knowing how important a bride’s wedding day look is, I wanted to share my experience with Styling Trio and introduce them to our brides. For Erin’s wedding in April, we planned everything ahead of time with Styling Trio over phone and email. The booking process was a breeze, and the team was quick to answer our questions. When it came time to decide what package or services Erin would have, she ended up with the La Perla package. 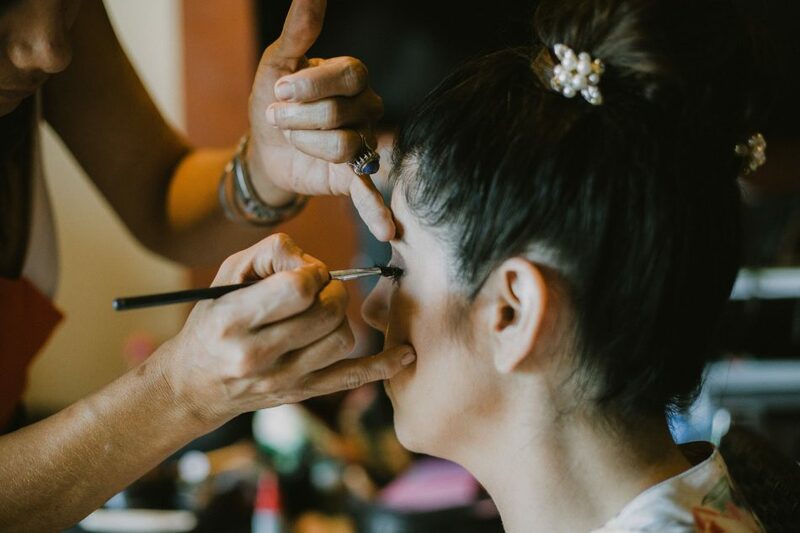 This package includes a hair and make up trial, hair and makeup for the rehearsal, as well as hair and makeup on the wedding day. With this package, the bride has the choice of a either a senior or master artist. In addition, airbrush application and eyelash application are also included! Styling Trio was easy to communicate with, friendly, timely, and of course, extremely talented! For both the trial, rehearsal day, and the day of the wedding, Styling Trio arrived ahead of schedule which was very appreciated! The fantastic team who assisted the wedding group included Ninna, Edna, Erika, and Gama. You can follow their work on Instagram to see each stylist and artists’ talents. 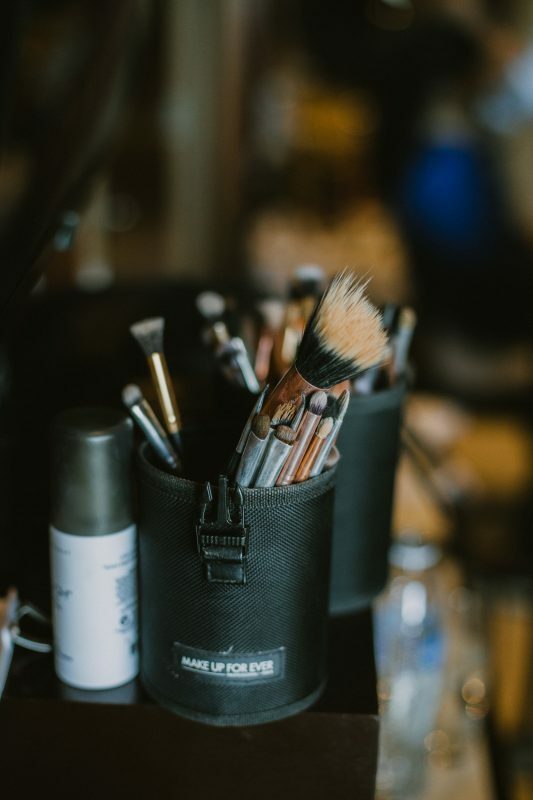 To really give brides the most in depth look at what makes Styling Trio a great wedding vendor choice, I held a Q&A with Styling Trio’s own founder, and master makeup artist, Adrian. Q: What makes Styling Trio stand out from other stylists or salons? A: Each and every stylists genuinely loves what they do. Anybody can do makeup but we do is art. Each artists is specifically placed with each client to ensure the best experience for the client. Q:What is something unique about Styling Trio that future clients may not know about? A: Styling trio is a full service agency! Our team includes artists for Henna for our South Asian clients, productions & photoshoots, and of course bridal which we are best known for. In terms of growth Styling Trio has just opened on the Pacific side of Mexico, from Puerto Vallarta all the way to Punta Mita, with plans to open Los Cabos summer 2019! Q:What is the most popular package for Brides? 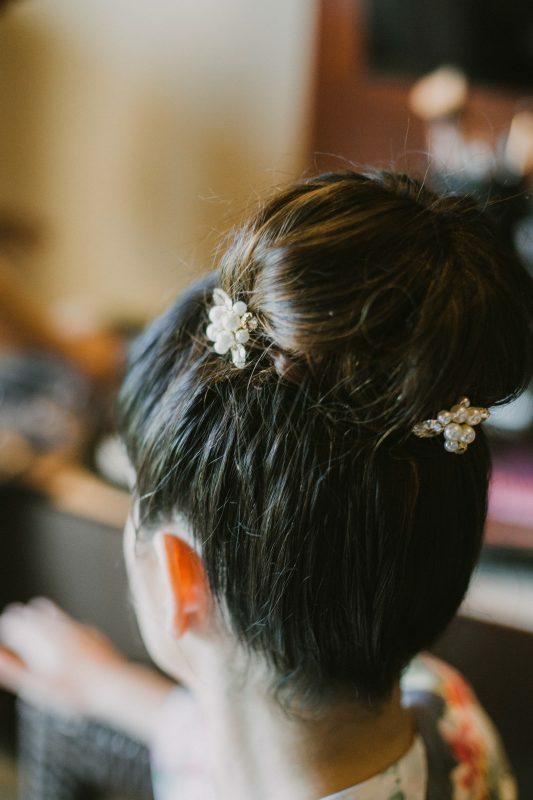 A: Our most popular package is the “Shimmer & Shells” this includes hair and makeup for Wedding day and trial, we offer our brides to do their trial on the date of their rehearsal dinner, welcome party or any event previous to the wedding so at the end of the trial our team would change the look so they can wear it to their event! Q:How many people are on the Styling Trio team? A: We are housing over 30 amazing artists. Q: What is the largest bridal party group you have serviced? A: There is no limit! We’ve done more than 100 guest in a wedding and can do more! Q: What are your top suggestions to make the most out of the ‘getting ready’ experience for brides and their ladies? A: Everyone pitch in and help the bride! She may be a little stressed at this time but most of all just needs to feel special and taken care of by her friends and family! Perhaps organize most of the details the day before the wedding so the actual ‘getting ready’ part is a more relaxing experience . All too often the bridesmaids are running around and the bride is stressing . The getting ready part is supposed to be a fun time, not stressful. It should be a time for the ladies to bond and drink some bubbly! I would also suggest designating a guest or two who are not in the bridal party to act as a butler to help the bridesmaids with any last minute errands and keeping everything on track. Traditionally the MOH is supposed to handle these details but let ‘ s get real, there can be a lot to coordinate and the girls need to relax as it’s going to be a long day. So the key is to organize ahead of time to ensure a fun and stress-free morning before the wedding day! Q: Do you provide services as far north as Playa Mujeres? As far south as Tulum? A: Yes, we travel to any location in the Riviera Maya, Cancun, Puerto Morelos, Playa del Carmen, Tulum, Bacalar, Isla Mujeres, Playa Mujeres, Cozumel and Holbox. Q: What is your favorite part about being on the Styling Trio Team? 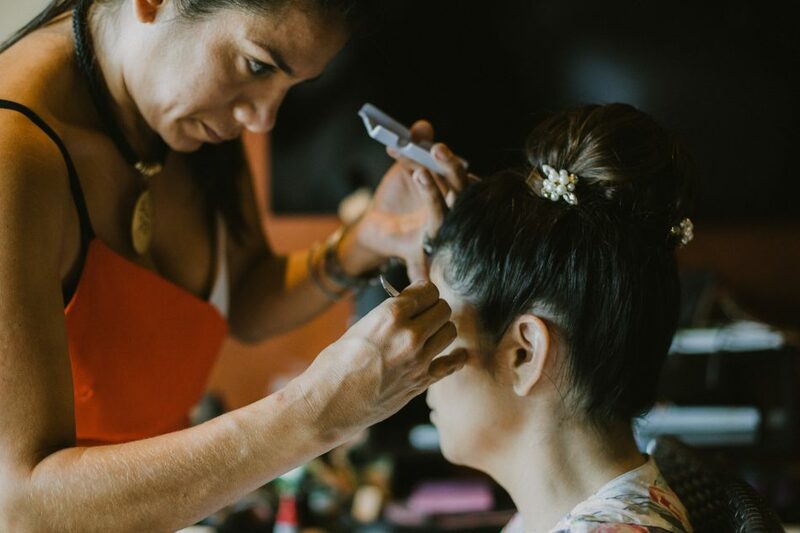 A: It is truly an honor to be a part of the top agency for bridal hair and makeup in Mexico, as an artist it makes my heart smile to see each and every bride smile before she walks down the aisle! Always growing and with a strong vision to grow, there are a world of possibilities and room for growth. If you are interested in learning more about Styling Trio, I encourage you to check out their amazing website, and of course follow them on Facebook and Instagram for inspiration and the latest updates. 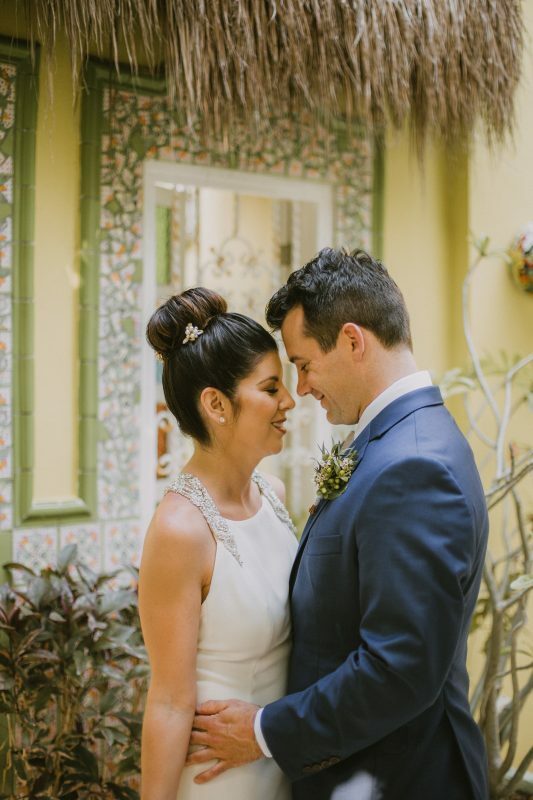 All Photography Courtesy of DeGroot Film Co.
Ashley loves to combine her passion for planning dream weddings with her love of travel and adventure to give couples the experience of a lifetime. She quickly makes strong relationships with her couples, so much so, she frequently travels with her couples to destination to see the event through to execution. Ashley contributes to the blog with her first-hand travel experiences and best wedding planning tips and tricks of the trade.